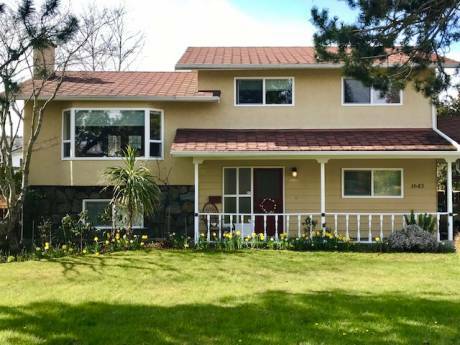 Our home is a detached 1920's house with a modern open floorplan and bright interior. Combined family/kitchen area, separate dining room with gasfireplace and a separate formal living room. Two bedrooms and one bathroom down (formal living room can be used as bedroom too if desired). One bedroom with ensuite upstairs. Lovely garden with trampoline. Wood floors on all levels. We are Joris, Tirza, Tim and Puck. Dutch from origin, all 4 of us. Tirza is a manager with a software company and Joris is a home based graphic designer and houseman. Ideally situated in an quiet urban neighbourhood. 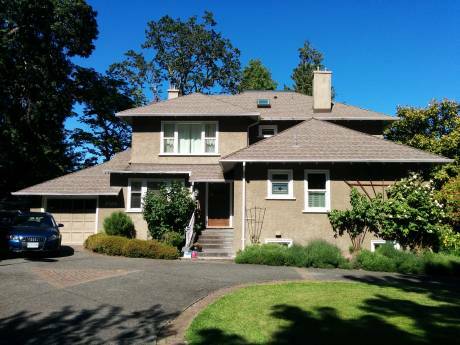 It's close to downtown Victoria and a minute walk from Oak Bay with it's Oak Bay village. Shopping is also walking distance. Exactly 1 km away from the ocean. Swimming pool at walking distance. A short drive to lakes and forest. Camping equipment can be used too. As well as the bikes of course. You will love this island!